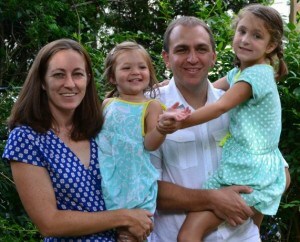 We’re Brad and Laura Barrett and our entire family wants to welcome you to our site! We’re both Virginia Certified Public Accountants (CPAs) and we find ourselves constantly looking for new strategies to make our own lives less stressful and more financially secure. We hope you will take some time to familiarize yourself with our financial philosophy, which we think is critical to achieving financial independence. As you’ll see, we write about everything from saving money, to living a more healthy lifestyle, to paying taxes. But perhaps our favorite topic is leveraging credit card rewards to make more money, save more money, and take trips you never would have dreamed possible for pennies on the dollar. Our guide to a (nearly) free Disney trip is what really put our site on the map, so be sure to check it out. You can also read testimonials from people we’ve helped. Hopefully that’s enough to at least get you pointed in the right direction if you’re new to credit cards rewards. If you’d like to support our website and all of the free information we provide to readers, please consider applying for new credit cards through our credit cards page, where we post the best offers we can find. Our strategies have been featured in the New York Times, CBS, NBC and the Huffington Post, so this concept really resonates with people all across the country and we’re confident we can help you travel the world using rewards points! Please feel free to contact us with any questions or feedback. Thank you!